Folding is an important finishing method. Before deciding on the folding method you want, design concept, suitability, and readability should all be predetermined. Different folds give different finishes to your products, in order to suit your needs please pick one you like. 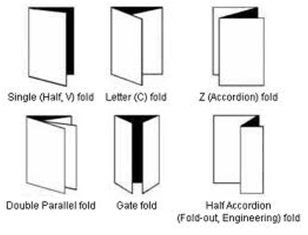 Common fold kinds are: Letter Fold and Z fold.